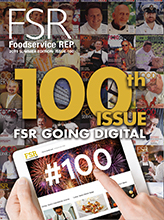 Foodservice Gateway » READY TO TASTE YOUR FUTURE? READY TO TASTE YOUR FUTURE? If you’re keen to accelerate your culinary journey, Australia’s longest running cooking competition for young chefs might be for you. Now is the time to enter the 2019 Nestlé Golden Chef’s HatAward®. Create new opportunities, learn valuable skills and connect with industry peers in the culinary arena. “It’s all about challenging yourself, taking it to the next level to see what you can do. This comp is a great way to meet other chefs and see what’s going on in the industry. I’d recommend anyone to do it,” Chef Billy Fox, National Winner. You will have the chance to win globally recognised medals across entrée, main and dessert course categories. 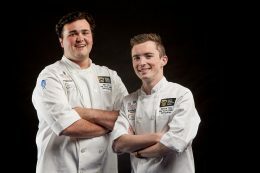 If successful in your region’s heat, you will get to cook-off against the country’s best chef talent in the National Final at Fine Food Australia in Sydney this September, with one team being crowned the 2019 national winners and awarded a culinary trip of a lifetime to North America. Get involved at enter.nestle-goldenchefs.com.au Entries close 11:59 AEST on Friday 3rd May 2019.